Tripwire is a large-scale multimedia installation comprised of 24 motorized elastic strings. Set in motion by a software platform that synchronizes motor speed with moving sound and light, a vibrant screen of synesthetic waveforms comes to life. Speakers lining the base of the structure act as the voice of each oscillation – as though the strings themselves were sounding; as though the machine were a mammoth double bass. Patterns of light adapt to mechanical action – shining brighter as strings spin faster; going black as they still. 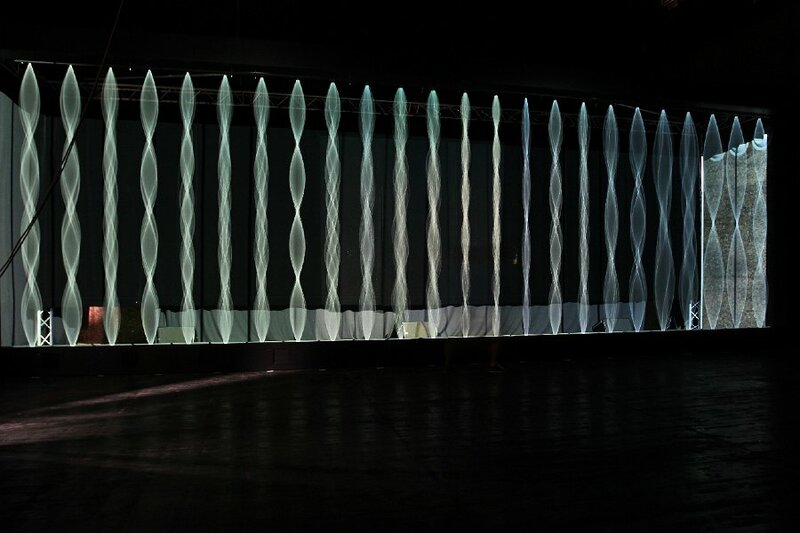 Integrated gestures of sound, light, and physical rotation ripple across the forty foot screen. Proximity sensors intensify speed, volume, and brightness as spectators approach, mapping their movements to perturbations in the unfolding temporal form. 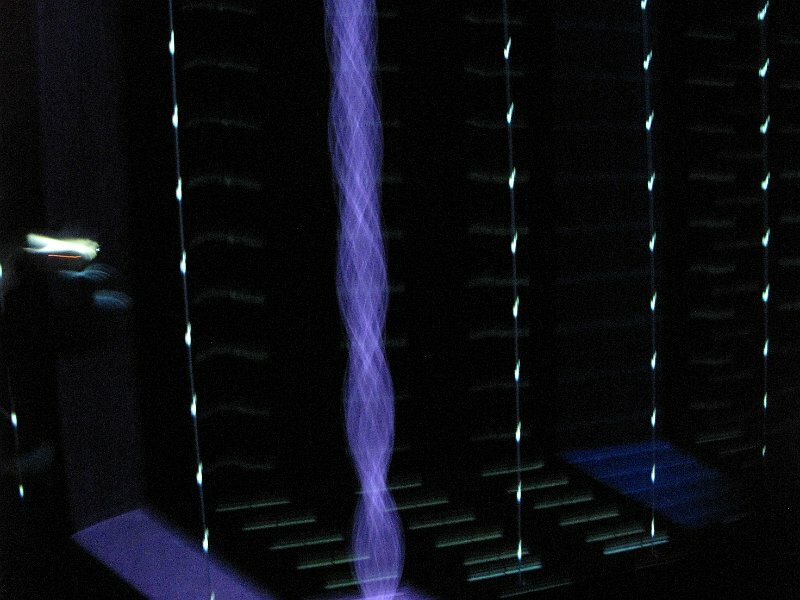 Blurring illusion and fact, Tripwire moves physical matter with digital grace, gives material body to weightless light, and fits a visual source to acoustic vibrations that is both virtual and violently real. Produced with support from IRCAM, Le Fresnoy, SACEM, Centquatre, and ARCADI, Tripwire premiered at the 2011 Agora Festival in Paris, France and has been featured at the Digital Art Biennale and Elektra in Montreal, Panorama in Lille, Nemo in Paris, Stereoluxe in Nantes, and L'Ososphère in Strasbourg.